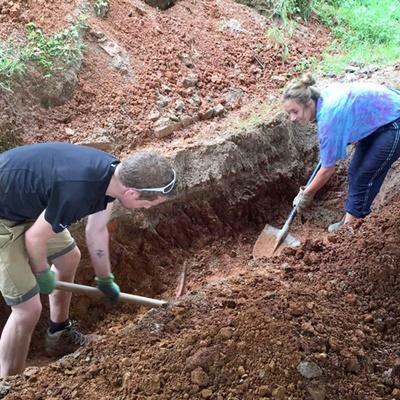 Towards the end of July 2016, eight SmithCorp Charitable Trust volunteers traveled to Nepal to help with the disaster relief project following the earthquake in April of 2015. 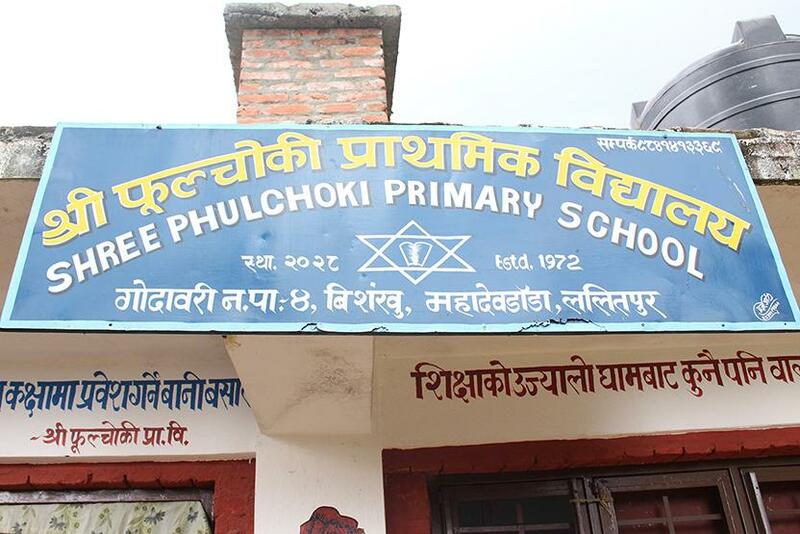 The building project was to prepare the foundations for 3 classrooms at Phulchowki Primary School. Work on site was challenging, extremely tiring but immensely satisfying. There was lots of digging, carrying heavy loads, demolishing and mixing concrete – all to set the foundations for 3 classrooms at the school. The days were also filled with spending time and interacting with the children and visiting an orphanage to play and read with the children. We were amazed at how happy and positive the children and local people were and how they continued with their life despite their vast difficulties and devastation. 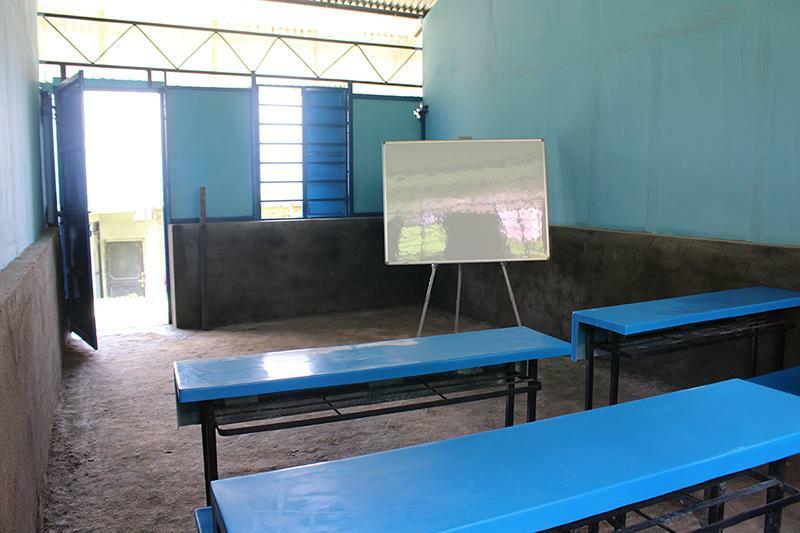 On top of our work, the money raised and donated to the school enabled the remaining classrooms to be finished and have new desks and chairs and a set of brand new uniforms for all the children. 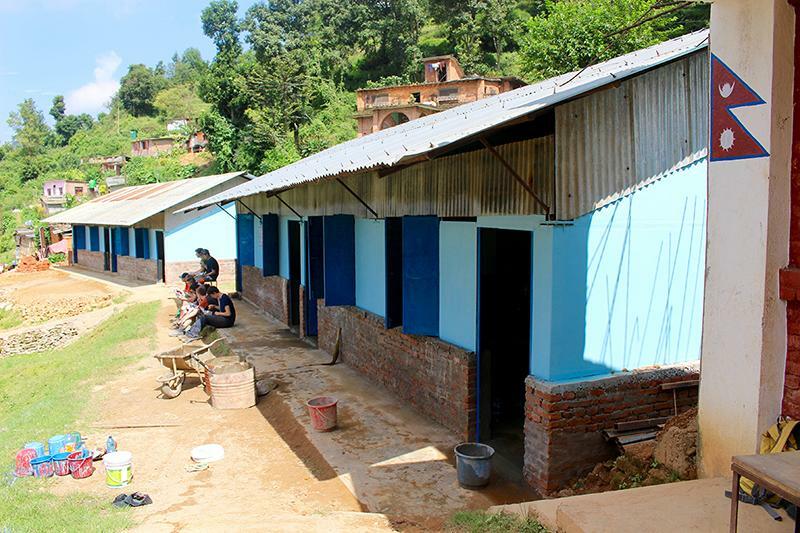 Most importantly the school is now being rebuilt to withstand the effects of an earthquake, making it a much safer environment for the children and teachers. We were based in Kathmandu Valley, in a busy town of bustling crowds with many of the locals trying to make a living among the many streets and shops. The aftermath of the earthquake was clearly visible with people’s homes, shops and temples either in a state of disrepair or precariously being supported by wooden posts desperately trying to stop them from toppling to the ground. 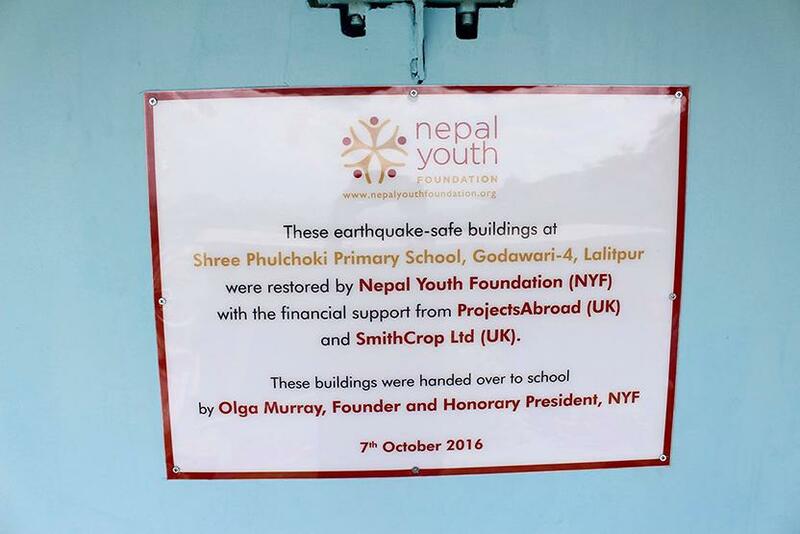 Phulchowki Primary School is situated in a rural and quieter village of Kathmandu Village but was no less affected by the earthquake. 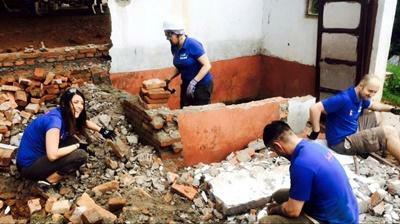 The trace of mud slides and piles of bricks and debris told the same story. The children and local people however were extremely welcoming, generous and very happy to meet and see us wherever we went. We visited the Pashupatinath Temple, having some tea before we started the tour. Everyone enjoyed taking in the history of the place and seeing the Sadhus and the monkeys. We also visited the Boudhanath Stupa and went on a tour of the Monkey Temple. We tucked into Nepal Bhojan which is a 6 course 'tastes of Nepal' meal accompanied with traditional dancing which was fun. 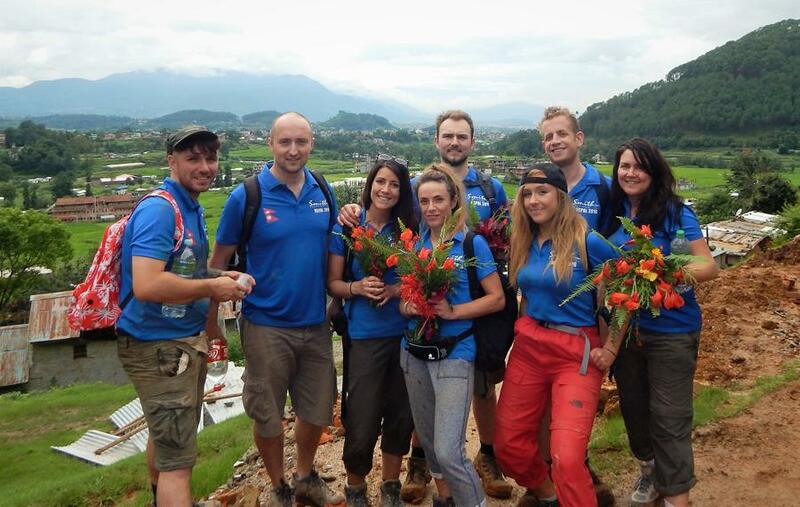 On our penultimate day we hiked in Nagarkot to see the natural side of Nepal. When we first began hiking the visibility was terrible but thankfully it began to clear and our team was given first real views of the full valley, and the first glimpses of the incredible snow-capped mountains. We were very happy with the result of our building work on the trip. We really enjoyed interacting with the kids, getting a section of the site fully completed, and exploring what Kathmandu had to offer. Everyone in the team, Chris, Kerry, Eli, Dan, Emma, Nathan, Steph and Will, made a significant contribution on the project and arrived home with memorable experiences to ponder and share. 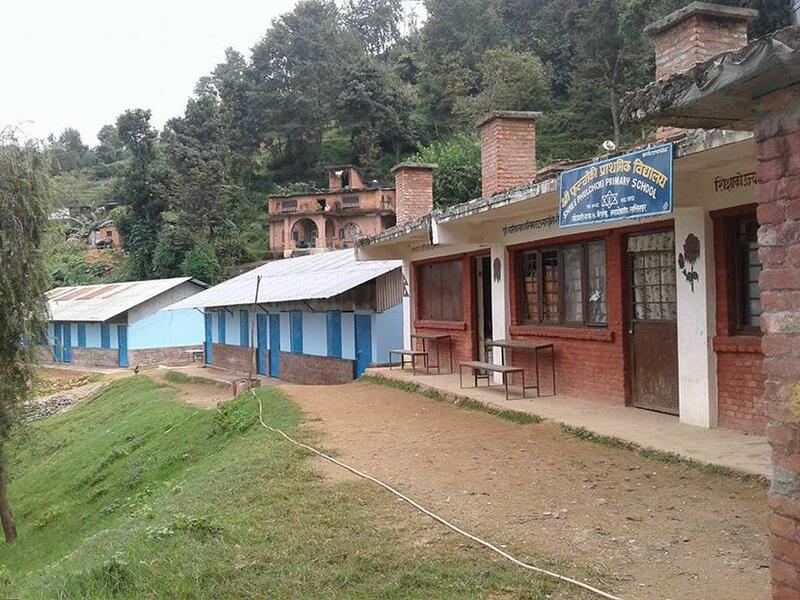 Our Projects Abroad team in Nepal have recently sent over some photos of the school. 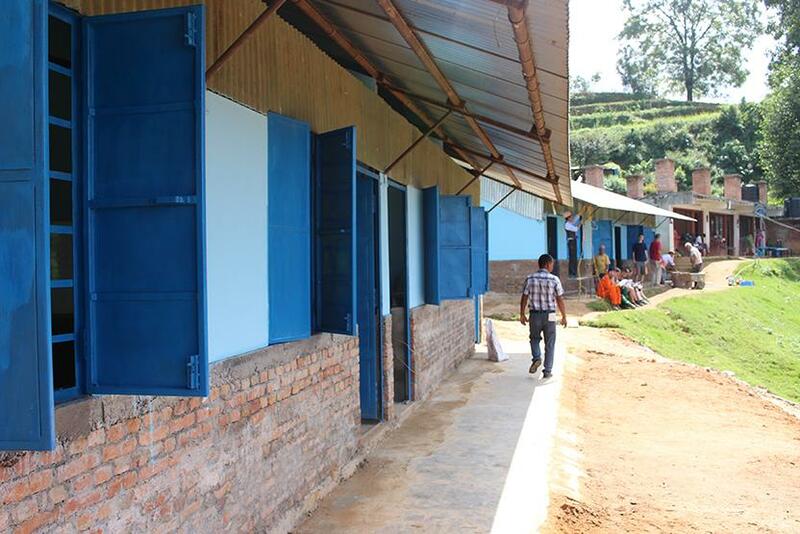 With the help of the SmithCorp Charitable Trust, their team of volunteers, the Nepal Youth Foundation, and multiple groups and individual volunteers in the following months, the Shree Phulchoki Primary School is now complete and is ready to welcome back over 100 eager and beaming pupils. We want to send a huge thank you to everyone involved in this project and we look forward to hearing back from future teaching volunteers who will working here over the coming years. This case study may include references to working in or with orphanages. Find out more about Projects Abroad's current approach to volunteering in orphanages and our focus on community-based care for children. 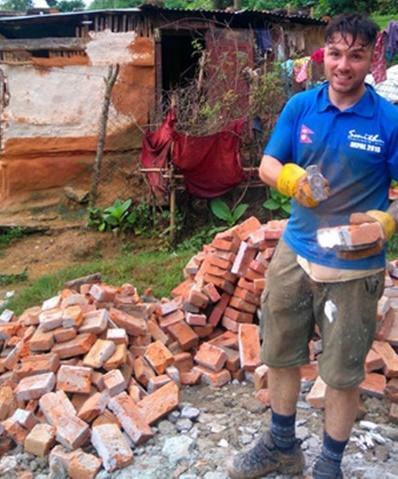 Read more about Building & Community in Nepal.